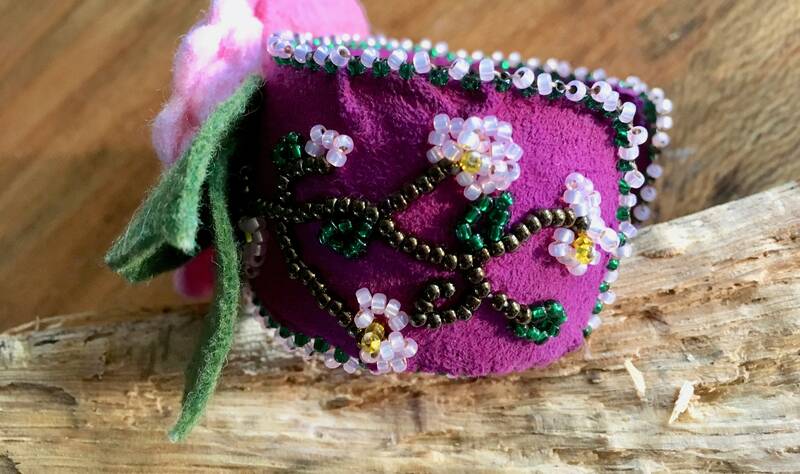 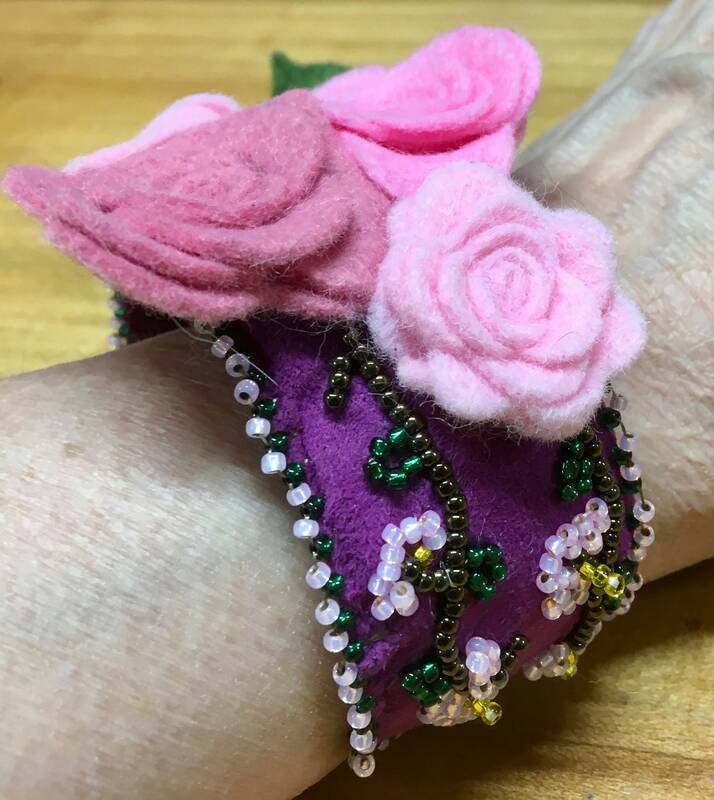 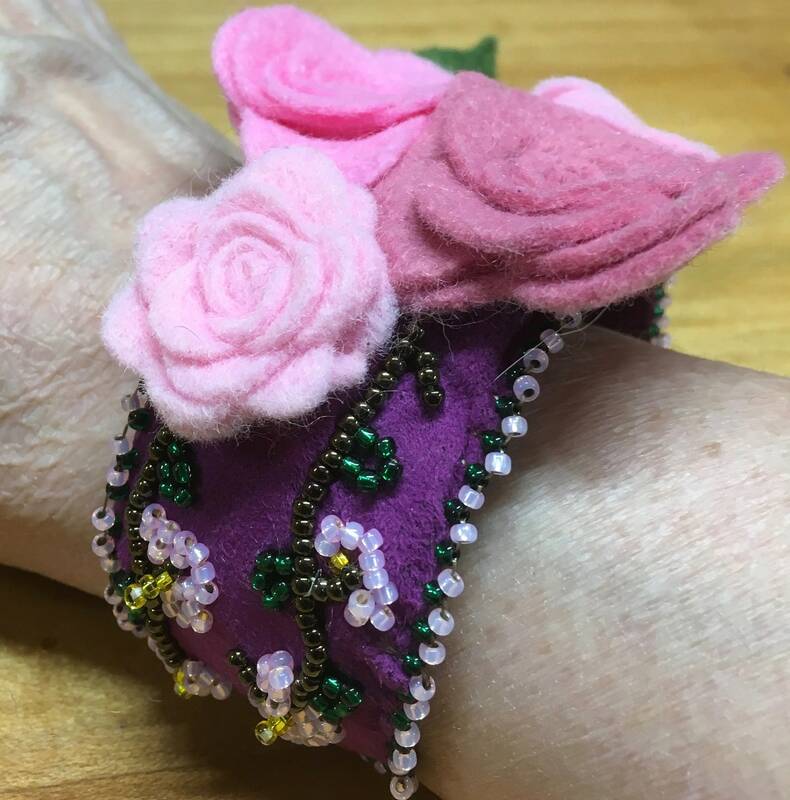 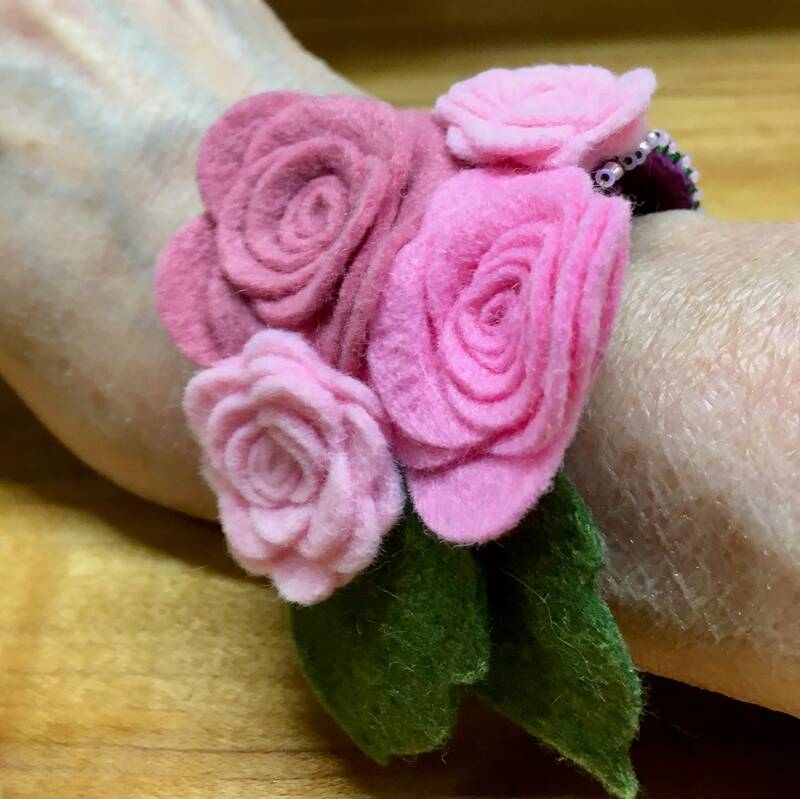 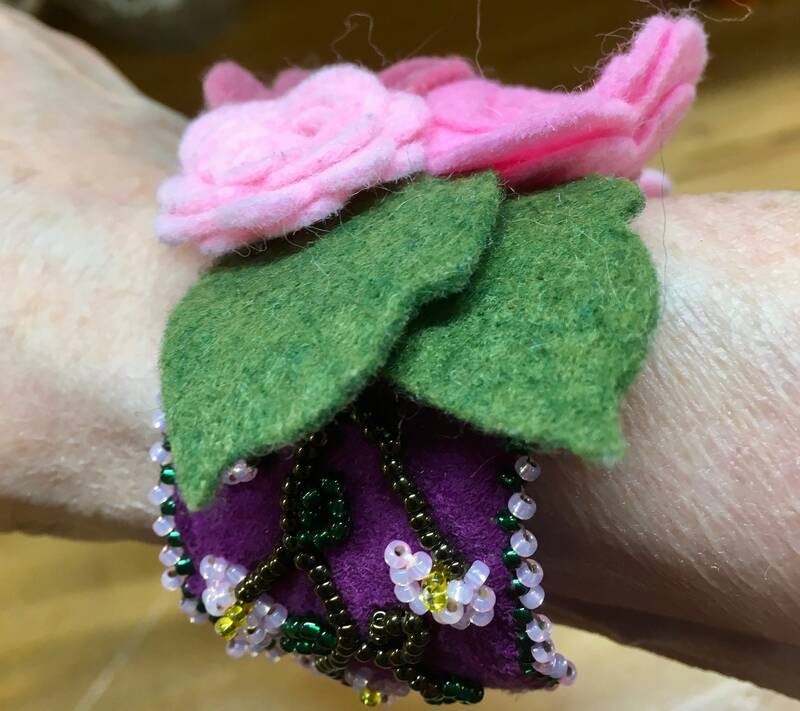 Bead embroidered bangle bracelet in fuchsia with clusters of pink felt roses and leaf in the center. 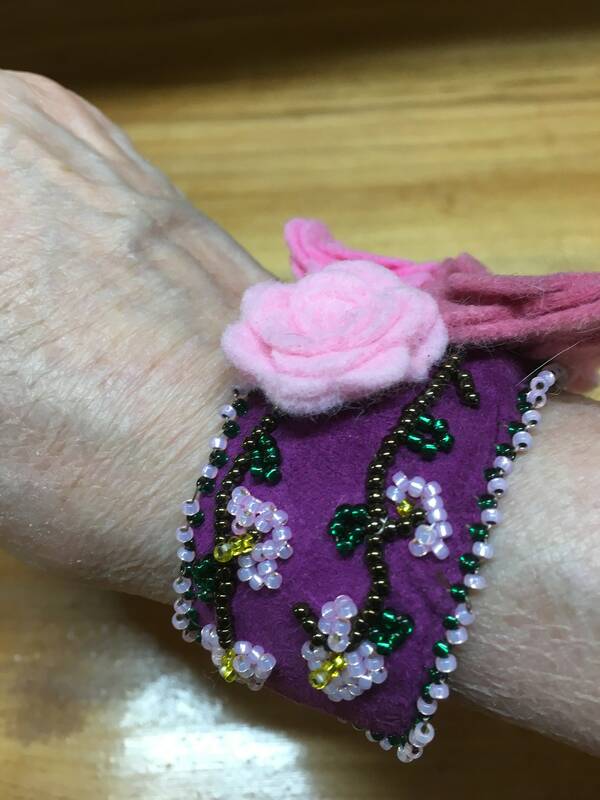 My own design of bead woven flowers on the bangle and edged in a picot stitch. 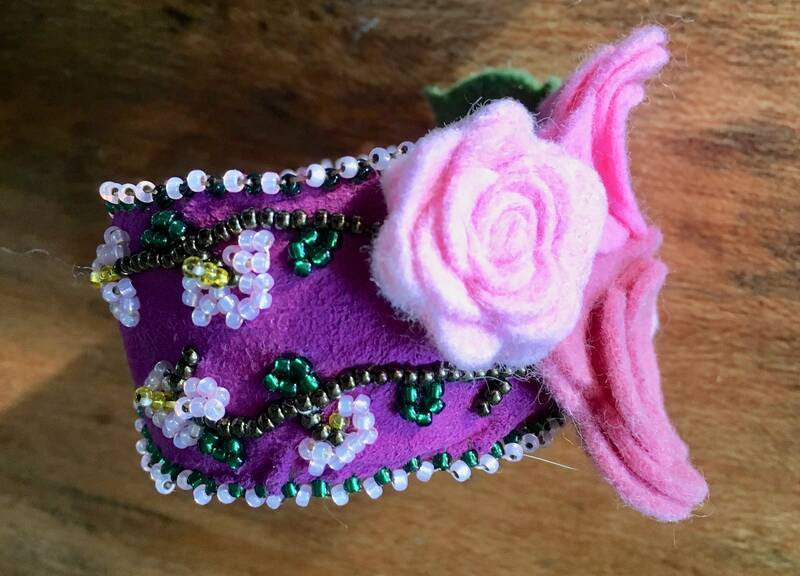 Inside is also lined in fuchsia ultra suede. 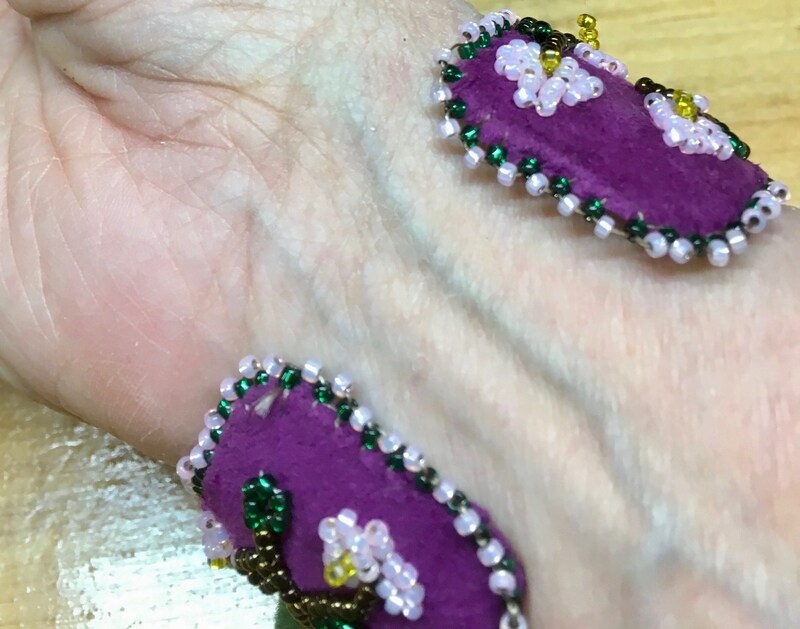 Bangle is 1 inch in width. 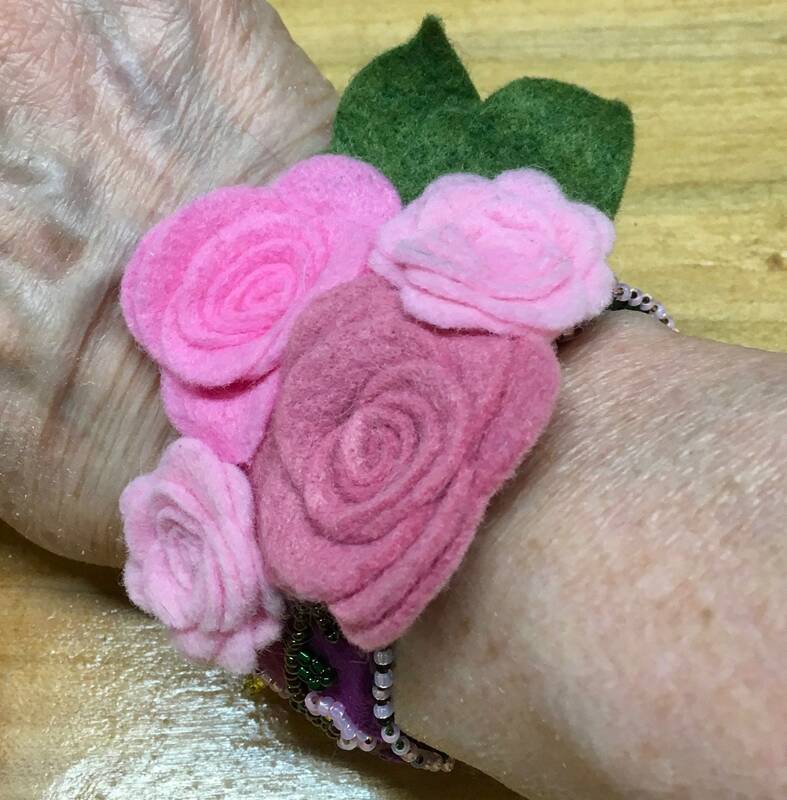 This will fit averaged sized wrists.